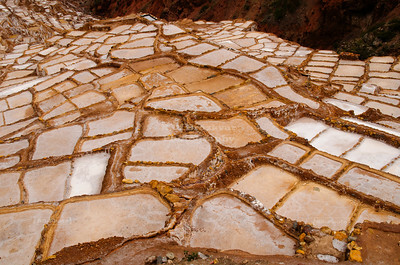 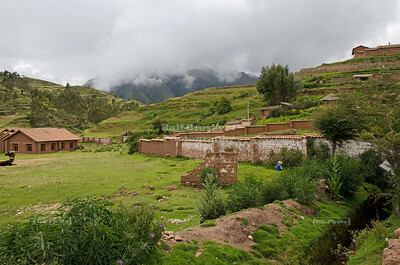 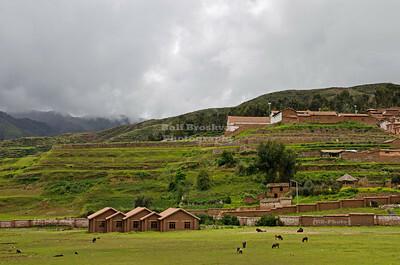 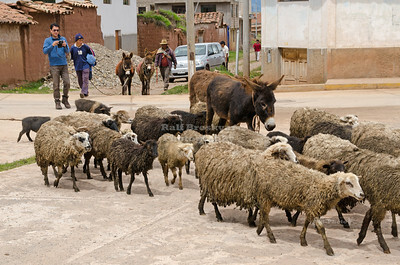 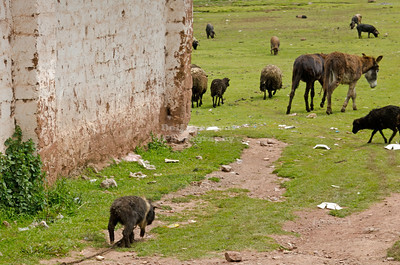 The Salt pans at Maras (Salineras de Maras), Peru consist of more than 3,000 shallow pools that evaporate over-saturated water from a nearby spring (Qoripujio). 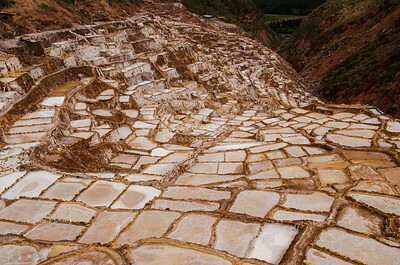 The result is - salt. 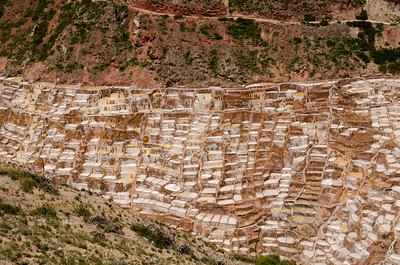 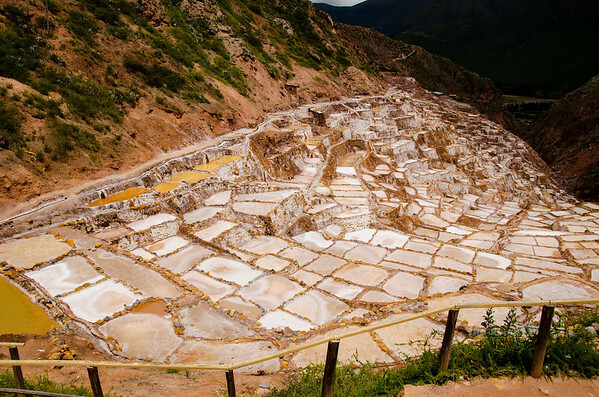 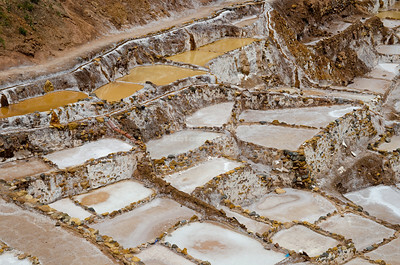 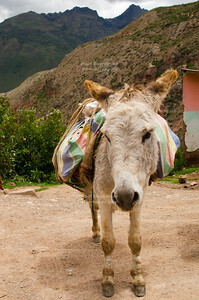 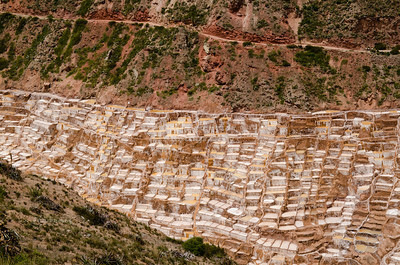 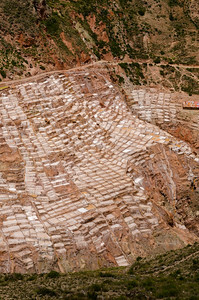 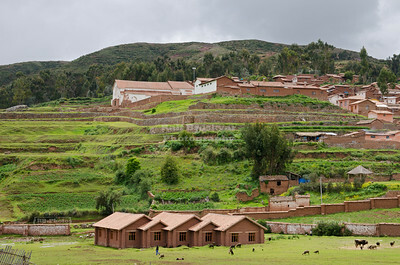 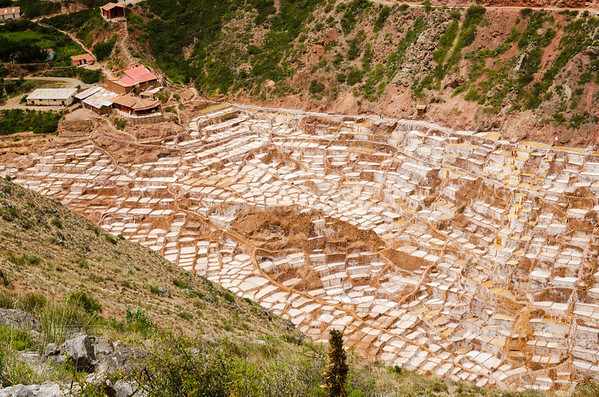 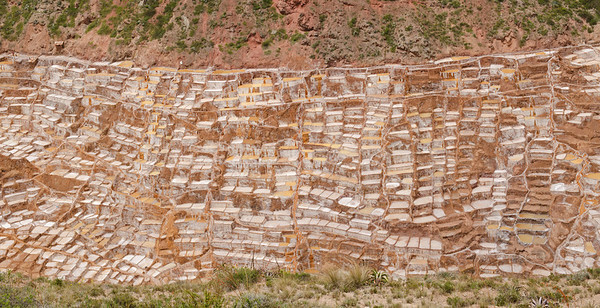 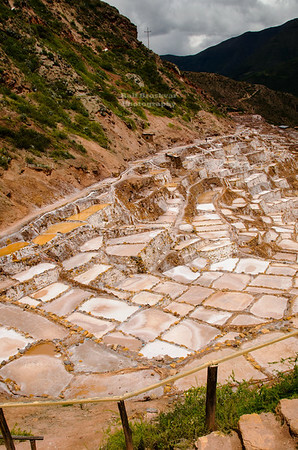 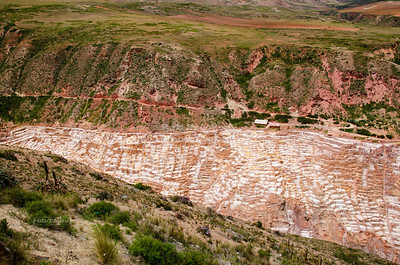 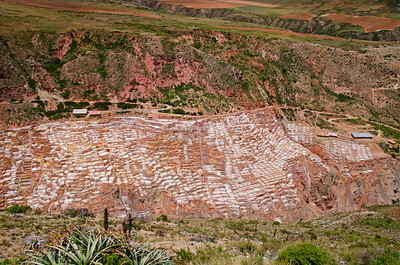 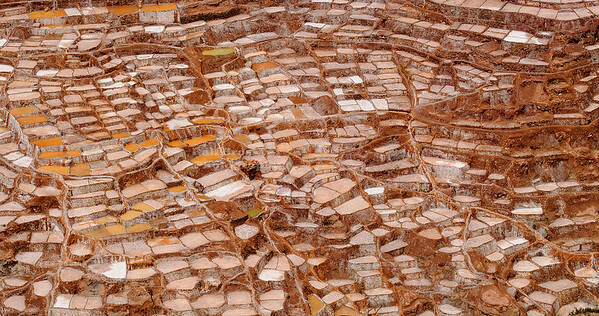 The Salt mines at Maras (Salineras de Maras), Peru consist of more than 3,000 shallow pools that evaporate oversaturated water from a nearby spring (Qoripujio).